So many runners I’ve met think that shoe inserts are the solution to all their injury problems…and, as it turns out, at least SOME of them are right. According to a study from La Trobe University in Melbourne, Australia, contoured foot orthotics (like the custom ones I provide patients in my Houston podiatry practice) were tied to a 28 percent lower risk of injuries and a 41 percent lower risk of stress fractures. While that’s great news, it’s the other part of the study that may provide cause for concern. Shock absorbing inserts, the kind that tend to be available over-the-counter in drug stores and supermarkets, were found to do nothing in terms of injury-prevention; in fact, some of the evidence even suggested an increased risk of injury when wearing these thinner, flat insoles. 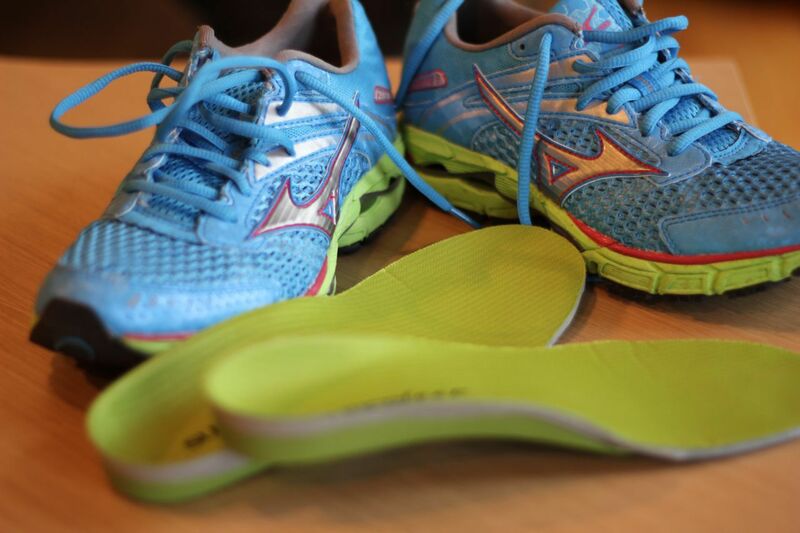 The real message of the study is clear—not all shoe inserts are created equally, but really good ones can make a major difference in terms of your long term walking and running comfort. The pain some runners feel in their front lower legs, shin splints, is usually caused by repetitive strain. In addition to giving yourself some rest time to recover from this injury, providing your feet and legs the support of a custom orthotic can provide the biomechanical control needed to reduce the pull of the muscles and prevent the pain from returning once you get back to running. Heel spurs form when there is abnormal bone growth on the bottom or back of the heel bone; they develop due to pressure from the attached tendon or ligament pulling on the heel. Outside of surgery, this issue can be treated with orthotics as well as padding, changes in shoe gear and, if necessary, injection therapy. Plantar fasciitis is an injury of the plantar fascia tendon, which runs along the bottom of your foot from your heel to your toes. With plantar fasciitis, your tendon becomes inflamed, often causing you to experience terrible pain. Orthotics can help alleviate the pain of plantar fasciitis by positioning your feet in a way that places minimal pressure on the injured plantar fascia tendon. Achilles tendinitis is an overuse injury, caused by excessive pulling of the tendon. It can develop because you started a new exercise program, or pop up when you don’t rest enough between workouts. Overpronation, or flat feet, can also contribute to this condition. Because of its causes, orthotics can help alleviate the symptoms of Achilles Tendinitis in much the same way they help prevent recurring shin splints.